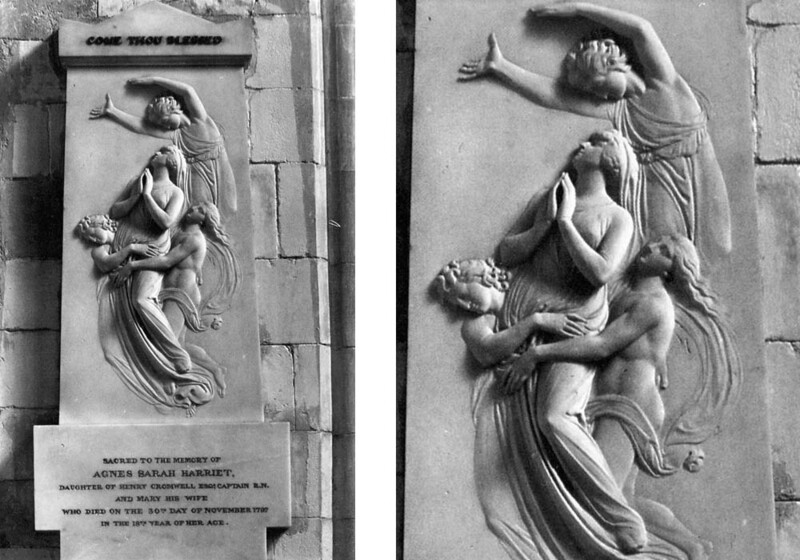 John Flaxman, (born July 6, 1755, York, Yorkshire, Eng.�died Dec. 7, 1826, London), sculptor, illustrator, and designer, a leading artist of the Neoclassical style in England. 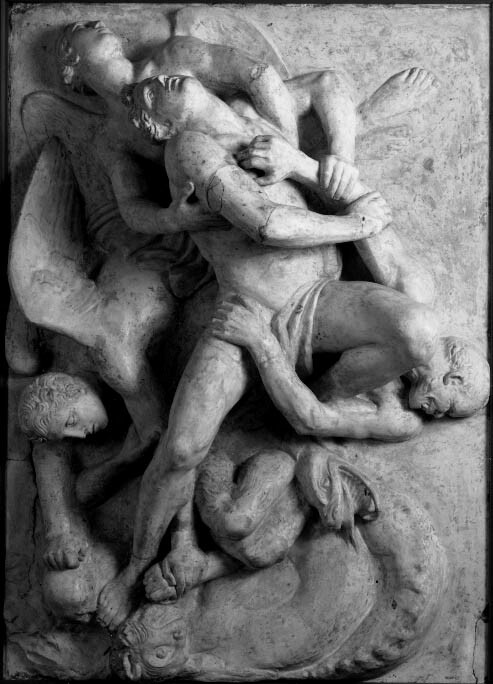 As a youth, Flaxman worked in his father�s plaster-casting studio in London while studying Classical literature, which was to be a continual source of inspiration. 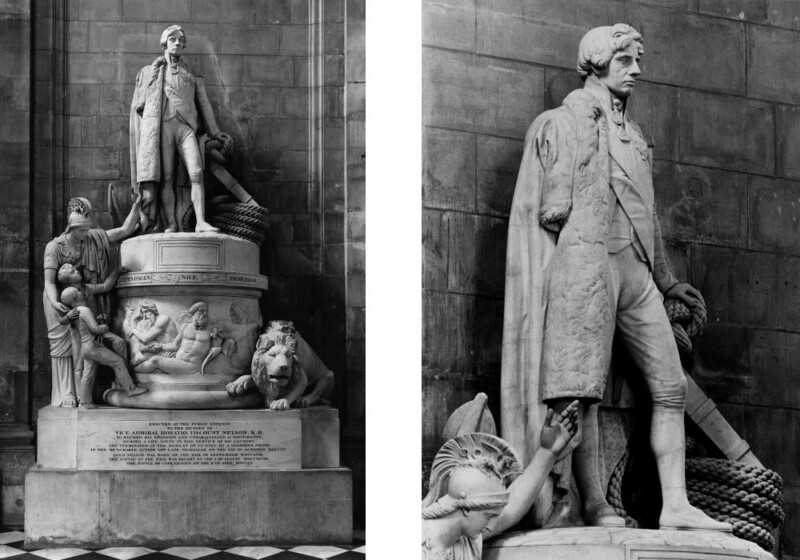 In 1770 he entered the Royal Academy schools. 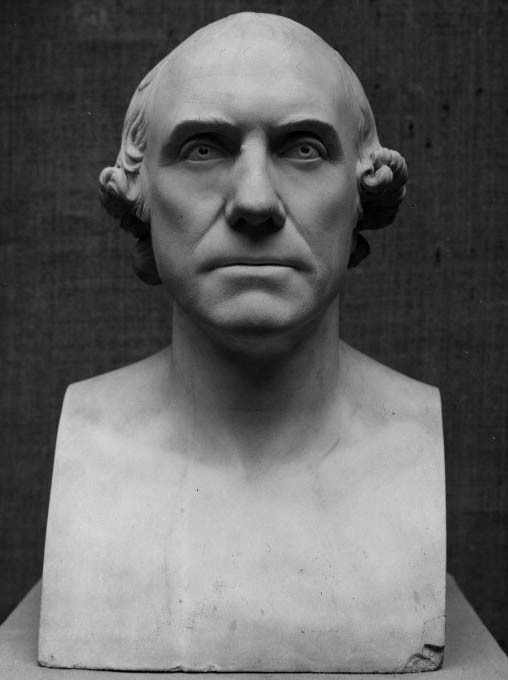 After 1775 he began to work for the potter Josiah Wedgwood. 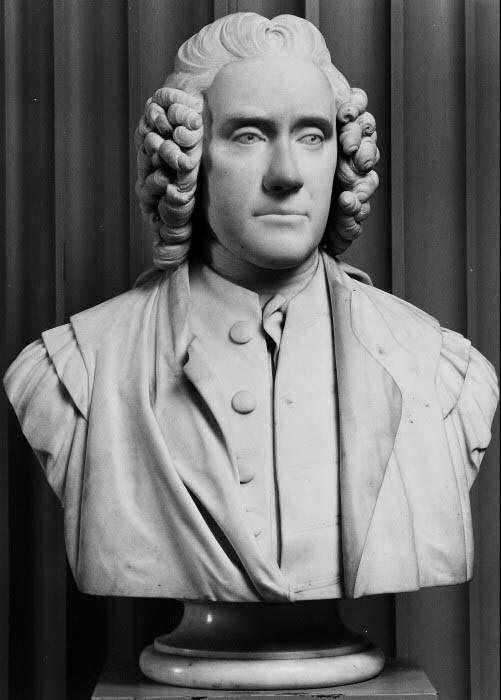 The discipline of producing designs, usually based on antique models and executed in wax, which could be translated into the silhouette technique of Wedgwood�s jasperware, strengthened Flaxman�s innate feeling for line. 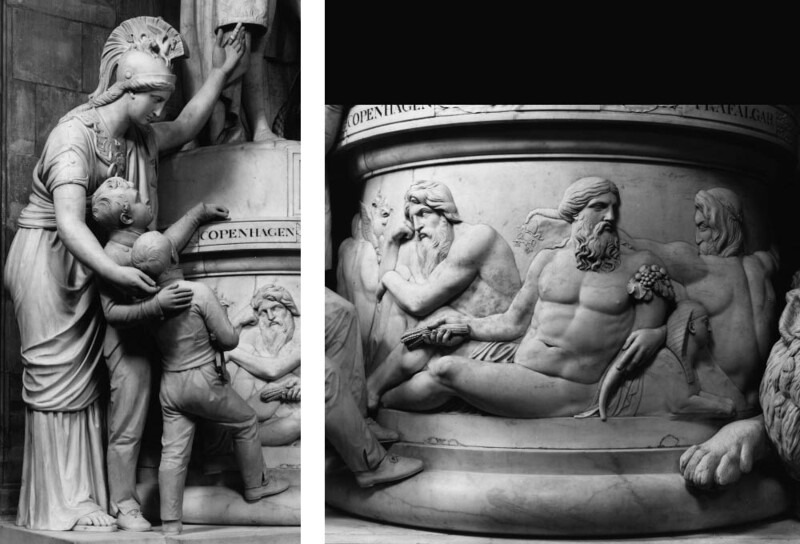 His design of the Apotheosis of Homer (1778) relief was adapted from an ancient Greek vase for use on pots, chimneypieces, and plaques. It has rarely been out of production since it was executed. 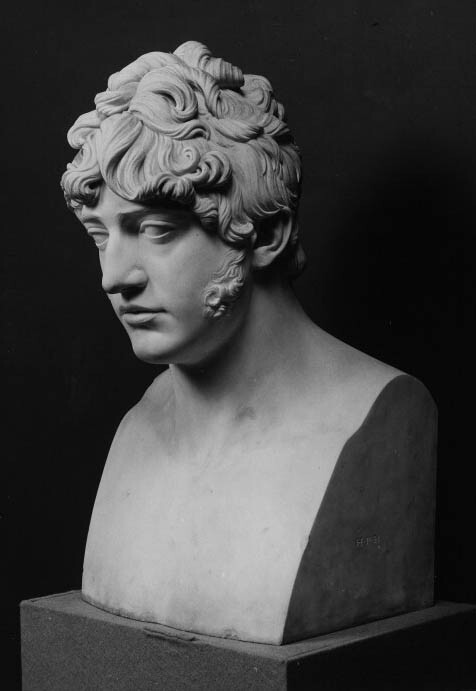 Flaxman also designed profile portraits in antique style for execution as jasperware medallions. 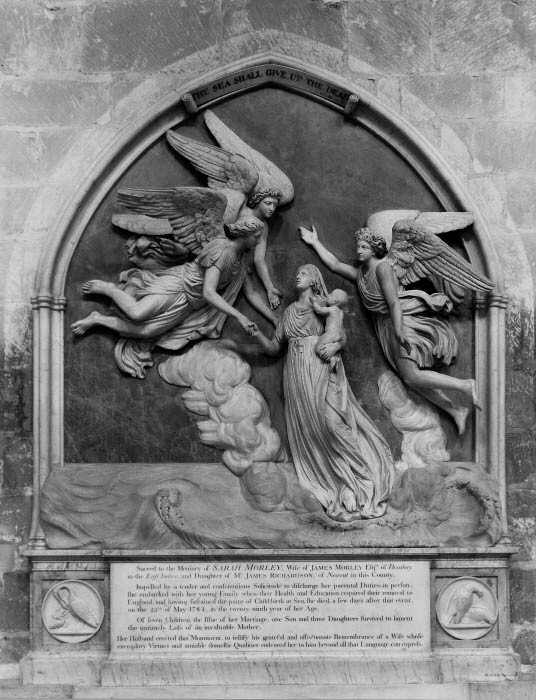 While at the academy he formed a lifelong friendship with William Blake, who stimulated his interest in medieval art. 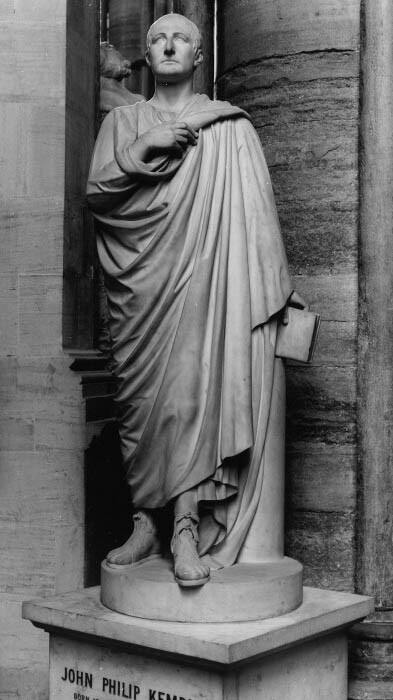 In 1787 he went to Rome to continue his study of the antique. 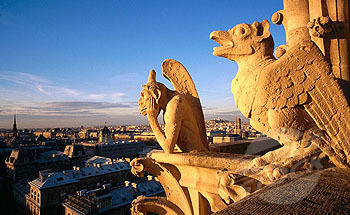 Intending to stay only two years, he obtained enough commissions to remain until 1794. His artistic creed was formed in these years. 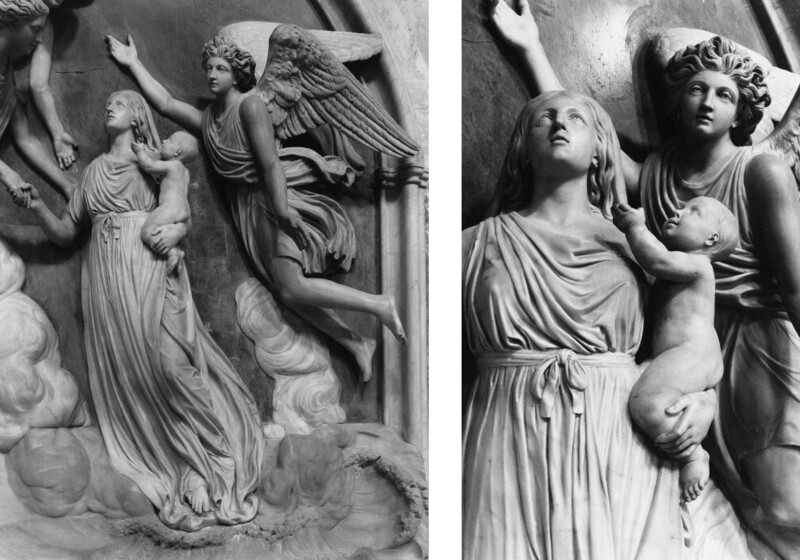 He drew assiduously, not only from the antique but also from Italian medieval and Renaissance art, and was determined to give his work a moral purpose. 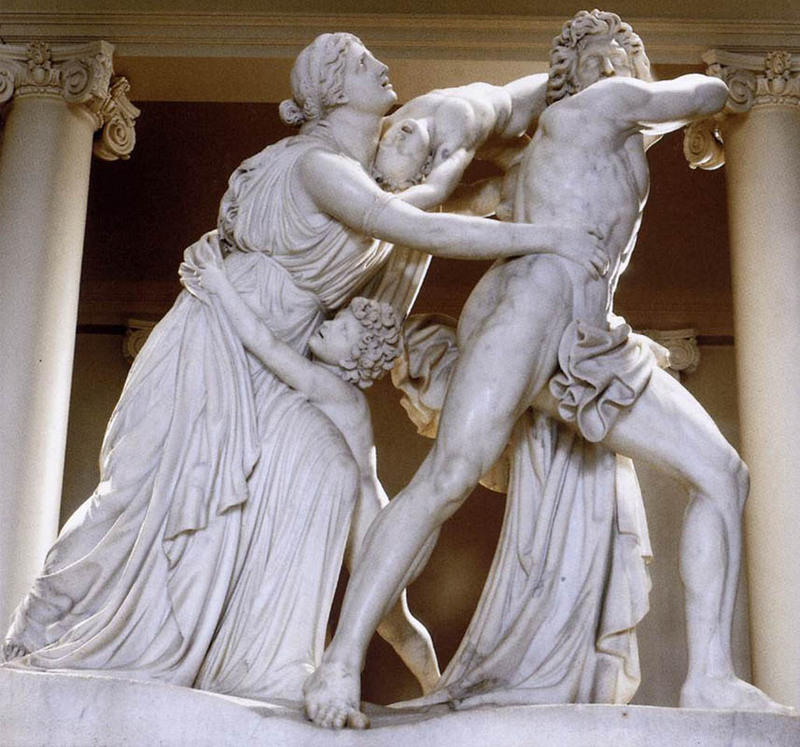 Between 1790 and 1794 he produced ambitious academic groups such as The Fury of Athamas (1790�92) and Cephalus and Aurora, but his book illustrations had far greater importance. 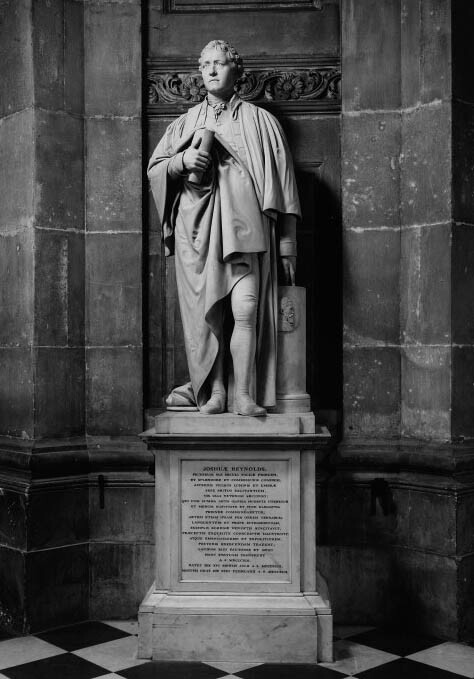 His Iliad and Odyssey (1793), Aeschylus (1795), and Dante�s Divine Comedy (1802) soon became widely known and, with their clean linear rhythms, contributed much to the spread of Neoclassicism in England. Later in life he designed a Hesiod, engraved by William Blake in 1817. 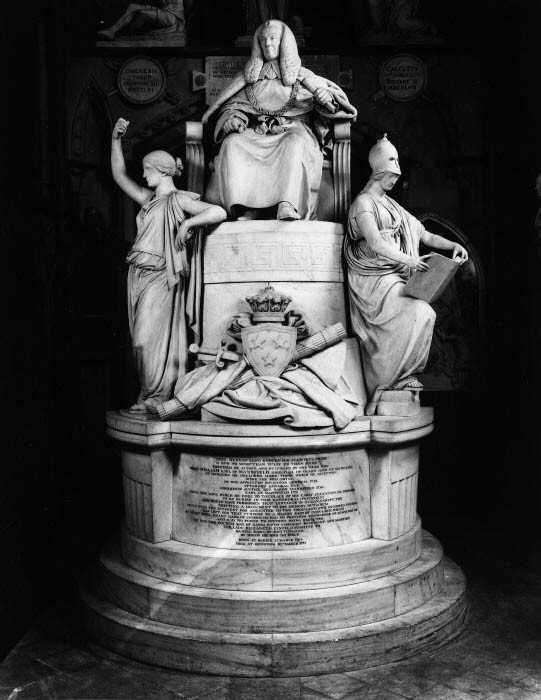 On his return to London his designs for a large monument to the earl of Mansfield (Westminster Abbey, 1793�1801) established his reputation as a sculptor on a grand scale. 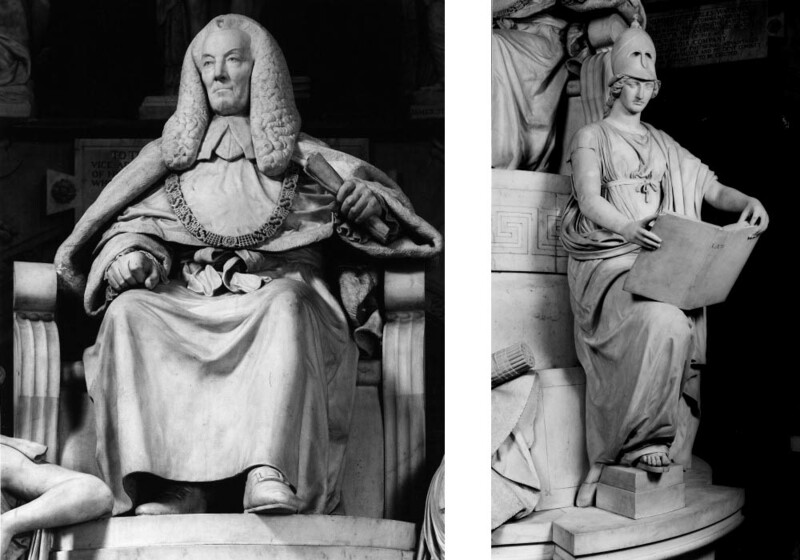 He became a member of the Royal Academy in 1800 and its first professor of sculpture in 1810. 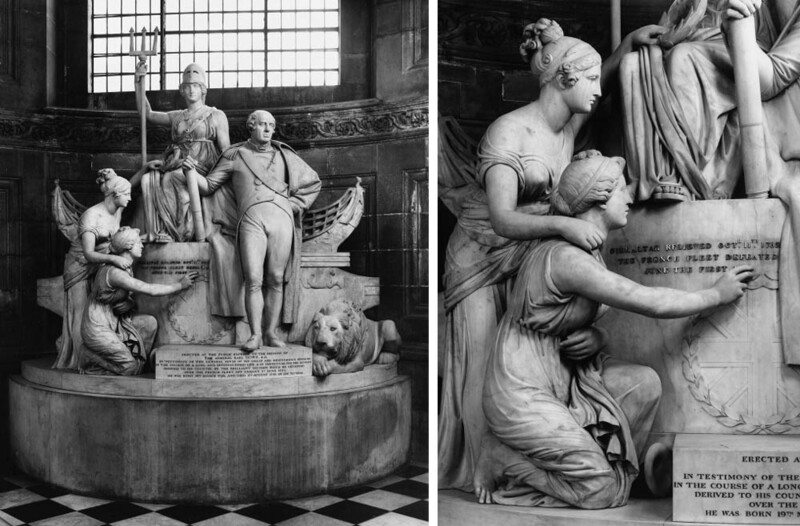 He produced a wide range of works after 1800, from small monuments in relief to very large commissions in the round (the Nelson monument in St. Paul�s Cathedral; 1808�18). He also made some designs for silversmiths, the most famous being The Shield of Achilles (1818). 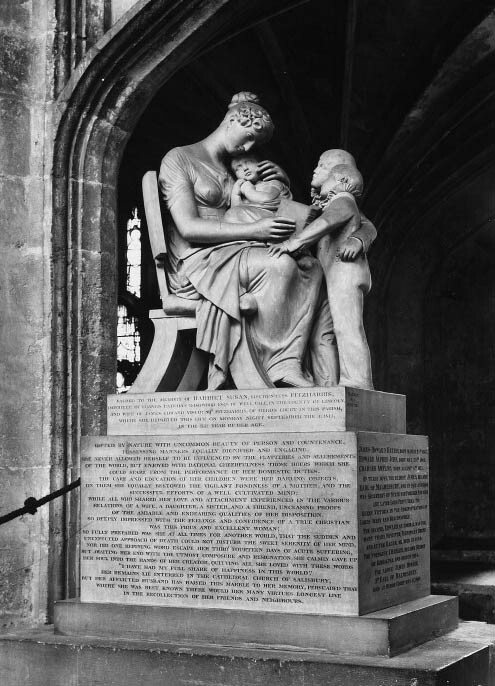 Flaxman�s chief strength lies in the sincerity, humanity, and remarkable fecundity of his designs, which include figures in the Classical manner and in contemporary dress as well as religious subjects. 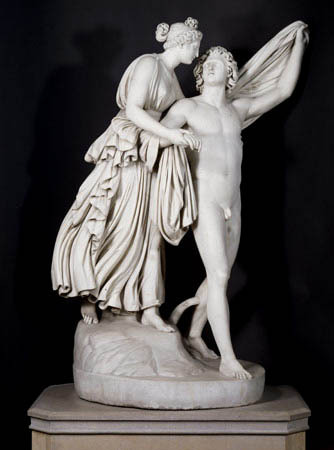 In his own day his reputation as a sculptor rivalled those of his great contemporaries Antonio Canova and Bertel Thorvaldsen.